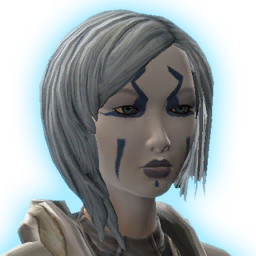 You have recruited Nadia Grell to your Alliance. After watching her in battle, you opted not to recruit Nadia Grell into your Alliance. You have decided that after all this time you still love Nadia! You have resumed your romance with her. You have decided that after all this time you love Nadia! You have started a romance with her. Despite your shared romantic history, you have decided to break off your relationship with Nadia. After reuniting with Nadia and renewing your relationship, things have changed and you no longer care for her in the same way.